With the oppressive heat striking across the world, I thought I might provide a little relief to readers plagued by high temperatures by discussing something they might welcome right about now: snow. Snow is crucially important in many regions because it’s a source of water, and let’s face it, water is important for life. When snow accumulates during winter, it builds up a reservoir of water which is then released to the environment during snowmelt. This is critical, especially in areas like the western U.S. where snowpack forms a huge part of their water supply. Snowmelt feeds rivers and lakes, and ultimately humans, and does so at the right time to sustain a healthy ecosystem and healthy agriculture. When it comes to snowmelt, the timing is right because life has evolved to make the best of existing conditions. Changes to the amount of water stored in the snowpack, and to the time of year at which it’s released, can have profound effects — effects which are not generally good. They’re bad. What has been happening to the snowpack in the western U.S.? I retrieved data from SNOTEL, which monitors the amount of water stored in the snowpack on a daily basis at locations throughout the region. Since snowpack is so important to supplying the Colorado River, and the Colorado River is a crucial water supply for so much of the U.S. west, I decided to start with SNOTEL stations in Colorado. There are 115 of them. The x-axis is time (in years), the y-axis is snow water equivalent (SWE) in inches. That’s the depth of water you’d have if the entire snowpack melted instantly. It’s a true measure of how much water is stored in the snowpack, much better than snow depth which varies a lot depending on whether the snow is densely packed or light and fluffy. Clearly the SWE changes a lot, and just as clearly there’s a buildup every year during the snow season and a melt-out every year as summer approaches. There are hints from the above graph that the total amount has been declining over time, but without some genuine analysis we can’t have confidence in that conclusion. We also can’t tell, just by looking, whether or not the timing of snowmelt has been changing. To gauge the size of the snowpack, I recorded the maximum value of SWE for each snow season. It’s not a perfect measure, but is surely indicative of changes in the amount of water stored in a given year’s snowpack. Then I looked for trends in those variables, estimating the linear trend in two ways. I used least-squares regression, and I also used a non-parametric method, the Theil-Sen slope estimate. Both provide an estimate of the rate of change, as well as a “p-value,” as estimate of the statistical significance of the hypothesis that the rate of change isn’t zero. Values less than 0.05 indicate less than 5% change the result is due to random variation when the true rate is actually zero. The red line is from least-squares regression, the blue line from Theil-Sen estimation. At the bottom is a summary giving the rates and p-values, first for least-squares regression, then for Theil-Sen. 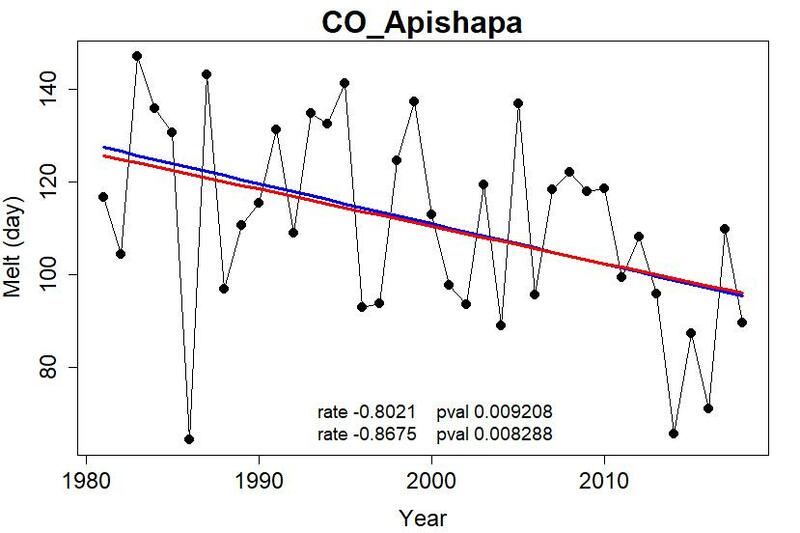 Both tests return a statistically significant result; the snowpack has been melting out earlier at Apishapa, Colorado, probably more than 0.8 days per year (0.80 according to least squares, 0.87 according to Theil-Sen). The net change over the period of record indicates that snow-out at this location is happening just about a month earlier than it was in the early 1980s. Again both tests suggest decline, but neither reaches “statistical significance” (at 95% confidence, a p-value of 0.05 or less). Least squares comes close, with p-value 0.07 for 93% confidence, but I like to use the “de facto” standard of 95% confidence because I know how easy it is to draw mistaken conclusions when our statistical tests are too lax. Dots mark the estimated rates, and the “whiskers” extend to the 95% confidence intervals. Those which reach statistical significance (at 95% confidence) are shown in red. If the variations were just random, we would expect four stations to show statistical significance at 95% confidence for each variable, about two being low and two high, just by random accident. But 15 stations show statistically significant rates of snow-out day, all of them trending earlier, and 15 reached significance for maximum SWE, all of them trending lower. This is not an accident. It’s the result of climate change. Man-made climate change. This has consequences. It reduces the available water supply in those states which depend on the Colorado River for part of their water supply (and there are many such states). It also has other environmental consequences, of which I’m not aware, but I suspect that the increase in wildfire in the west is one of those. These effects are bad for human society. For us. There are other states with SNOTEL sites, but at the moment their website doesn’t seem to be functioning to supply the data (I expect the problem to be fixed soon). Other states represent different regions, and as we’ve seen global warming hasn’t affected them all in the same way. And hotter temperatures don’t necessarily mean less snow; hotter air can hold more water vapor, enabling heavier snowfalls. The temperature-snowfall relationship is complicated, although the temperature-snowmelt relationship is rather direct. In any case, it’s yet another example of the fact that the “ideal” climate for Earth is: stable. When climate changes, when rainfall and drought and temperature and storminess and even snowpack changes, living things have to adapt to new situations. We (and other life forms) have adapted to conditions as they were. We’re already having trouble from the way things are. The worst is yet to come as we try to survive the way things will be. Human beings originated and evolved in Africa. They have been able to colonise much colder areas with the use of clothing, shelter and fire. 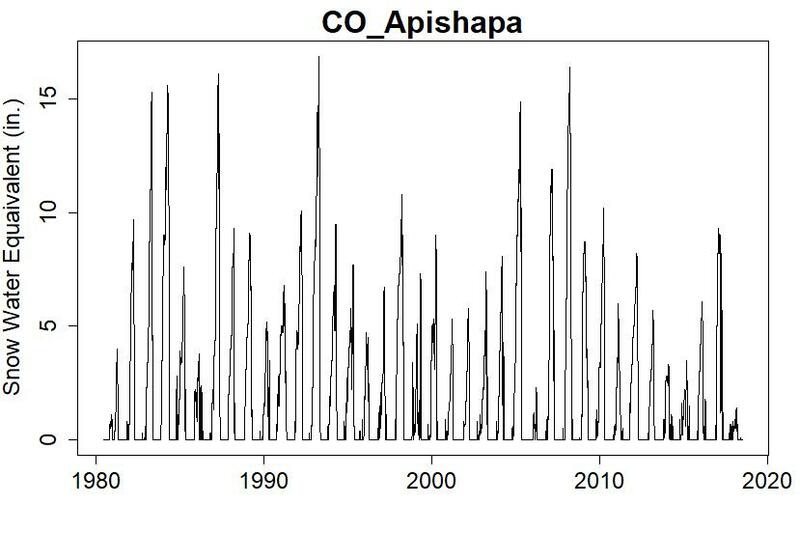 The climate has never been stable in earth’s history. It is said that “variability selection” applies to human origins, and links key human traits to a process of adaptation to climate variability and uncertainty. [Response: How long does that evolution take? How much slower were the previous climate changes than today’s? How much infrastructure did the earliest fully modern humans depend on when they migrated out of Africa? The point was that humans do not have to evolve gradually to a new climate, because they have already evolved the traits to cope with a widely varying climate. We first started to walk upright and use stone tools around 4 million years ago when the climate was 2–3 °C higher than today, and global sea level was 25 m higher. Um. Humans, as a species, are highly adaptable and can cope with a changing climate. Human civilisation, as a social and economic construct, has only existed in a farming form within a stable climate. It is highly sensitive to changes in local and global climate – as is our capability to feed 7 billion people. Sure, the species will survive, quite likely at least a million individuals even in the very worst case scenarios, but that’s very different from the survival of civilisation as we know it and billions of people. It fails to mentions climate change even once :) Some of the comments are… Eye opening, Canada is in for a torrid time (build a canal, get Canada to pay for it ? ), as well as the indigenous land holders who haven’t over exploited their underground aquifers and jjstvtake Mexico’s allocation. Apparently the suggestions are, are just take it ! Over a billion spent on the ‘third straw’ project to supply drinking water from the lake; add that to the financial costs of climate change so far. But of course that only addresses one of the water supply issues related to Lake Mead. Here is an interesting video that supports this article: https://youtu.be/L72G8TLtTCk. Thanks for the work! 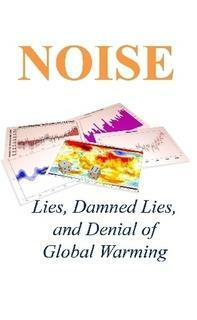 I’ll preface by saying man made climate change is %100 real. But, for the case of early snow melt out rates, what about black carbon deposition? Dirty/dustier snow has a much lower albedo and absorbs more solar radiation. 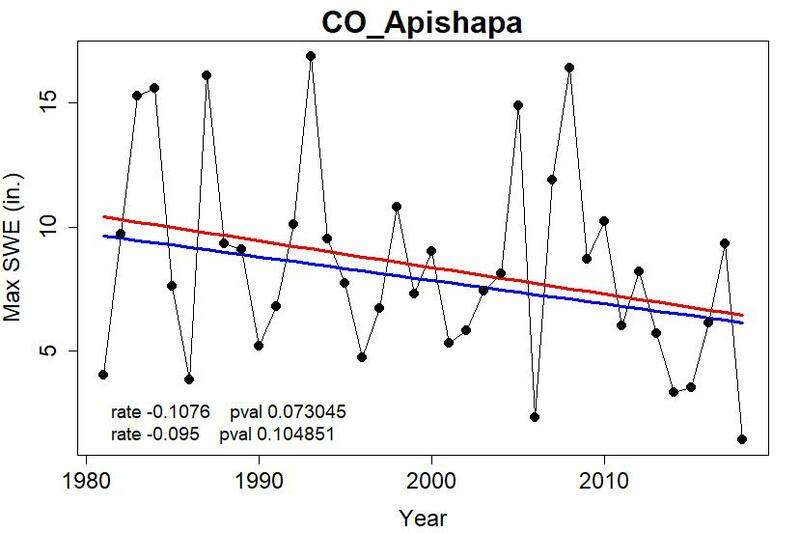 More analysis would be needed to confirm the trend is from an increase in temperate, which is a close correlate of incoming longwave, and not albedo. An interesting point regarding black carbon, but this is probably a case where the same mitigation strategies address both causes, no? End coal-fired thermal power generation, and you should see improvements in both GHG and particulate emissions. Ditto for more sustainable transportation. On black carbon: the albedo effect is definitely important, but BC emissions in North America have been declining over the past decade+ due to clean air regs (in particular, the 2007 US regulation requiring diesel particulate filters on new diesel engines). On variability selection: yes, the human species may have evolved in part because they could handle a changing climate better than their competitors, but it wasn’t that a changing climate was good for early humans, just that it was less bad for them than for other animals – now, we don’t really have competitors anymore*, we’re less mobile than we were due to established infrastructure, and we care about individual humans as well as the species, so at this point, we’d definitely prefer a more stable climate (and yes, the climate has never been perfectly stable, but the changes have been fairly small and gradual since entering the current interglacial, until now). *To the extent we have competitors, it is now pests & weeds & such, which are often disproportionately advantaged by high CO2, high temperatures, and lots of change. 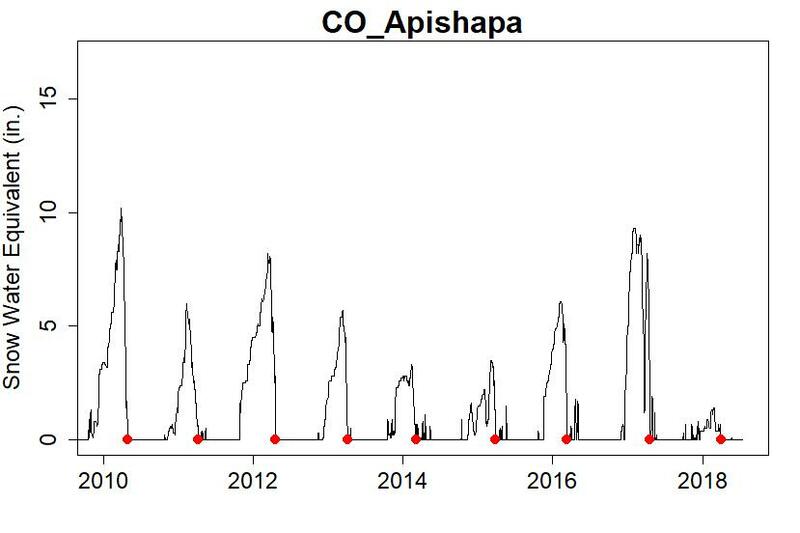 The declining North American black carbon trend may be true, but I don’t think that fact alone conclusively rules out albedo forcing for this subset of snotel stations. Moreover, local sources— road construction, agriculture, urban expansion– can stir up dust/dirt that eventually make it onto snowpacks and likewise decrease albedo. This sounds like a job for Anthony Watts and crew 8^)! Yes, humans are adaptable enough that we can probably avoid extinction at +3C, even +4C, but the absolute extinction of our species is a red herring. The real worry is that the pressure of changes to agricultural systems and coastal infrastructure will be great enough to cause massive human dislocations. This is what will threaten the security of civilization, and result in a cascade of effects that will lead to the deaths of untold millions. Love your posts. Thanks. I wonder what integrating under the curve would tell us about the amount of water stored each year and how it is changing from year to year. The current total SWE in the snowpack is already the time-integrated value of precipitation inputs and melt/sublimation losses, from the start of winter to the current date. It is the storage term. I guess the tricky part is that for practical water supply considerations, we’re really looking at 2 phases, accumulation and disbursement, since it’s the release of the water over time that provides the downstream benefit. From that perspective, max is what one cares about since it determines the total amount of water disbursed during the release phase (and ignoring losses by sublimation). All of which takes us right back to Tamino’s ‘snow-out’ date. There’s less total water available on average, and it’s available during a smaller time window. I’m a bit curious about how the two trends relate: theoretically, the availability could rise, fall, or stay the same.